The time was getting ripe for MacArthur's next move. 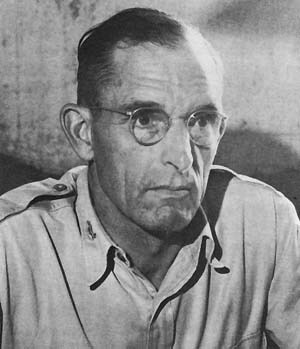 Late in April, about a week after the Ordnance Section's rear echelon arrived at Camp Columbia, bits of information began trickling into the Ordnance office about a proposed operation to take two small islands in the Solomon Sea, Woodlark and Kiriwina, north of the southeastern tip of Papua. Troop dispositions were a regimental combat team reinforced with field and antiaircraft artillery and supporting service units, mounted for the assault on Woodlark from Townsville and on Kiriwina from Milne Bay. The Ordnance Section men assumed that it was only a command post exercise, but after two weeks of computing requirements for supply and resupply and planning Ordnance troop support, they learned that the operation was real. It was called CHRONICLE and D-day was set at 30 June 1943. Hollandia: "A Battle of Terrain"
On the beaches below, the unloading of the LST's proceeded without opposition. The 649th Ordnance Ammunition Company, attached to an engineer boat and shore regiment, landed early on the morning of D-day and worked all day and the next unloading ammunition from LST's and directing sorting and stacking. By the evening of D plus 1 the northern sandspit, on which White Beaches 1 and 2 were located, was becoming extremely congested. Less than a week later the 49th Medium Maintenance and other Ordnance units were preparing to leave Aitape to participate with the 163d Regimental Combat Team in the next operation up the New Guinea coast beyond Hollandia—the seizure of the Wakde-Sarmi area, scheduled for mid-May. 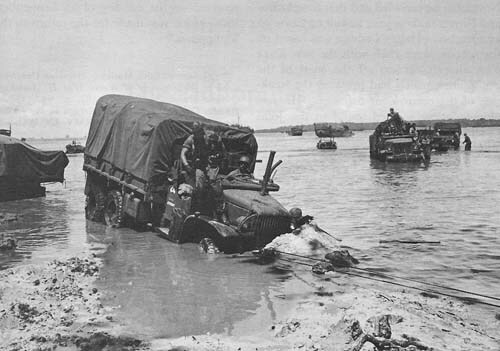 LVT's and DUKW's, carried to the reef in LST's, for the landing. On D-day (for Biak called Z-day), the ammunition company was ashore early and by mid-morning had set up ten bays along the beach road. With the help of more than a hundred combat troops, the company managed during the afternoon to unload the LVT's and DUKW's from eight LST's. In late afternoon Japanese planes came over and bombed and strafed the beach, but the bombs were all duds and the strafing not much more effective. Another air attack early next morning caused no casualties among the ammunition men. They continued unloading until about 1030, when orders came through to rush as much 105-mm. ammunition to the combat units as possible. The 3d Battalion of the 162d Infantry, advancing along the beach road to Mokmer Drome against light opposition, had run into serious trouble west of Mokmer village. From caves in the cliffs that rose sharply up from the beach, the Japanese suddenly poured down on the men a withering fire. The third Geelvink Bay operation, designated TABLETENNIS, was an invasion on 2 July 1944 of Noemfoor, a small circular island about halfway between Biak and the Vogelkop Peninsula of New Guinea. The Japanese were using the island as a staging area for troops moving to reinforce Biak; they had also constructed or partially completed three airdromes on it. The capture of Noemfoor would protect Biak as well as the sea lanes to the west of Biak; it would also provide airfields from which Allied fighters and bombers could cover the advance to the Vogelkop. 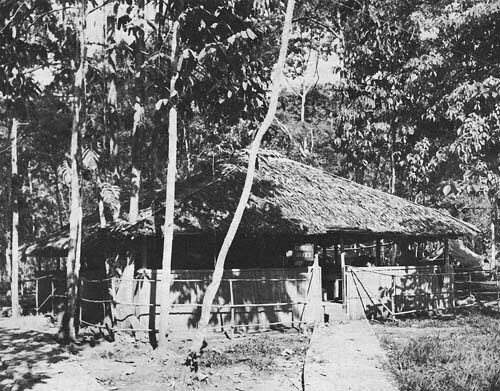 Seizure of the airdrome sites was the principal mission of the assault force, which was the 158th Regimental Combat Team (brought up from Wakde-Sarmi), reinforced and designated CYCLONE Task Force. Of the 5,500 service troops assigned to the 8,000-man combat element some 3,000 were to be used for airdrome construction. were therefore similar to those for Biak: to beach LCI's and LST's at the reef and unload their cargoes into LVT's and DUKW's for the assault run to the shore. The reef was narrowest at a point on the northwestern coast, which was selected as the landing place. It was near Kamiri Airdrome, which had the advantage of placing the assault troops immediately on their objective. Yet it also put them ashore at the point where Japanese defenses were expected to be strongest. For this reason the landing was preceded about an hour after sunrise on 2 July by the heaviest naval bombardment yet delivered in the Southwest Pacific. There was no opposition to the landing; the few Japanese, a far weaker force than had been expected, fled to the interior, where some of them were found wandering about stunned by the bombardment. Around 0900 Japanese mortar and 70-mm. artillery shells fell for a short time on the beachhead and reef, setting one DUKW afire and exploding a truckload of ammunition. Few casualties occurred among the assault troops; the highest casualty rate was suffered by ground accidents to paratroopers of the 503d Parachute Infantry who began arriving 3 July. With the help of the paratroopers, mopping-up operations continued until the little island was declared secure on 31 August.